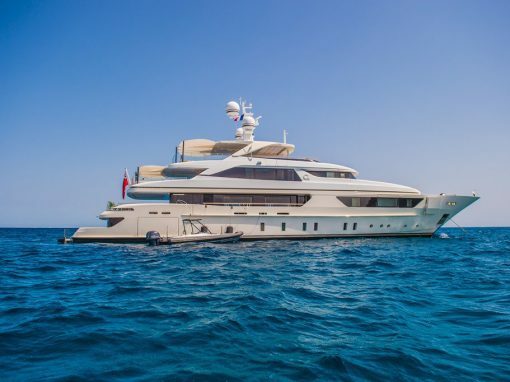 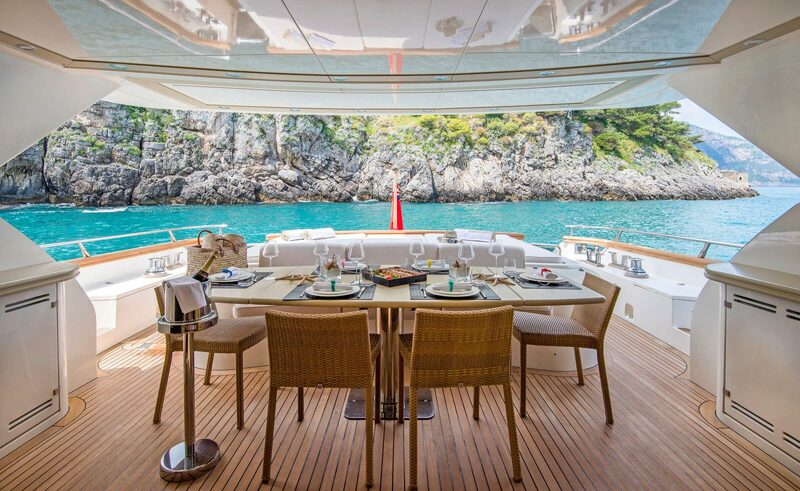 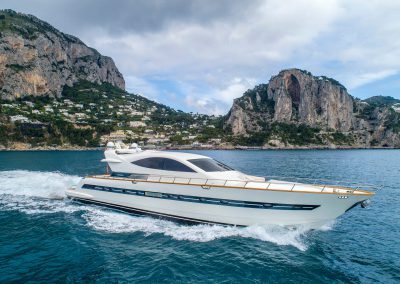 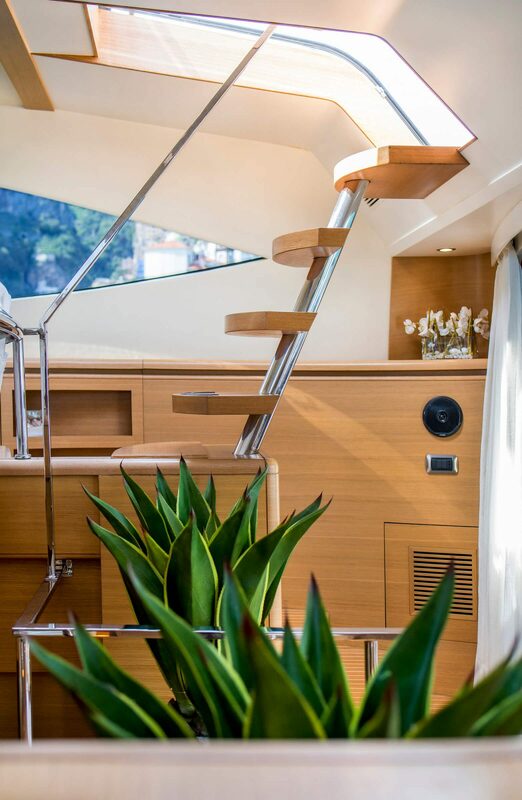 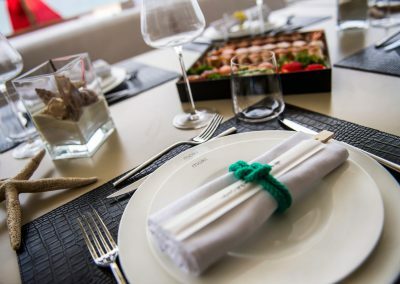 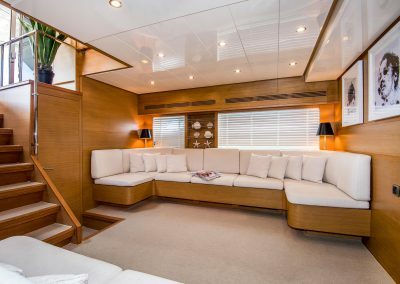 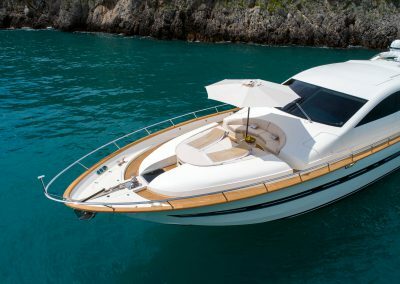 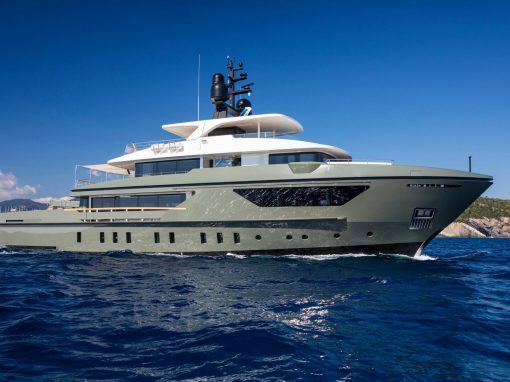 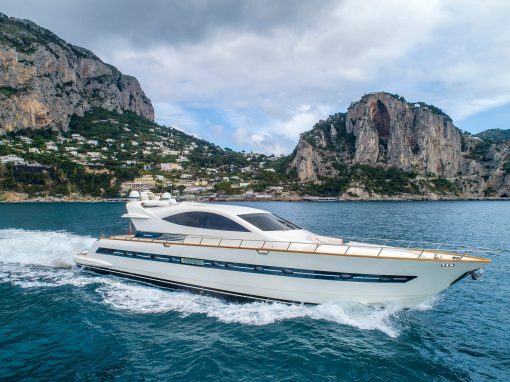 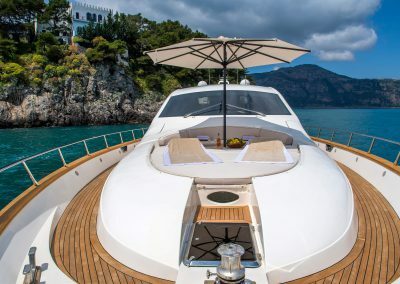 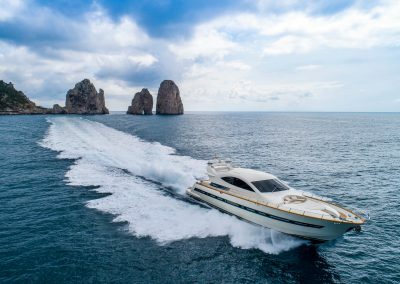 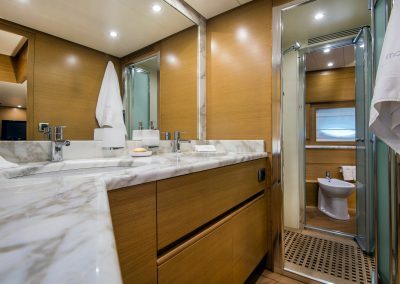 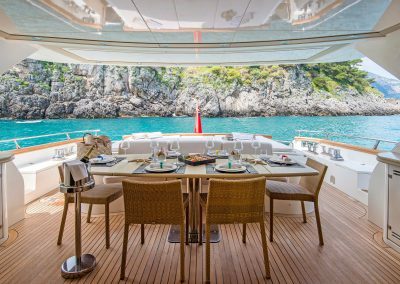 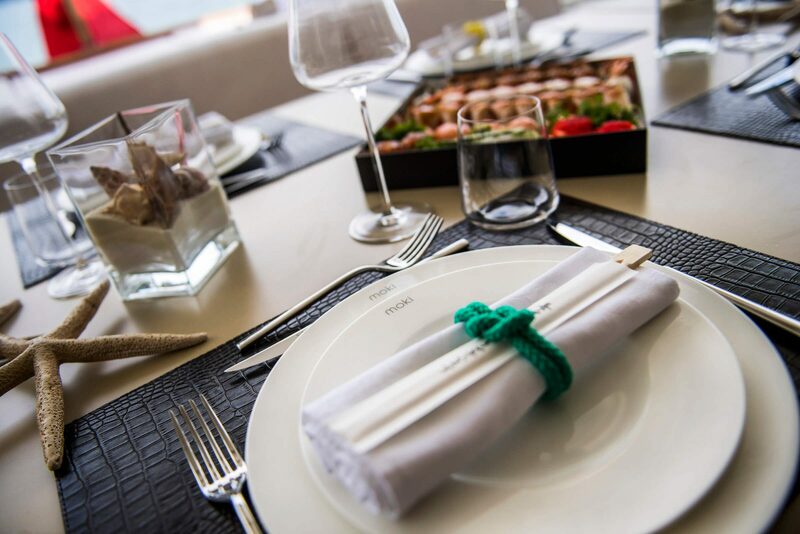 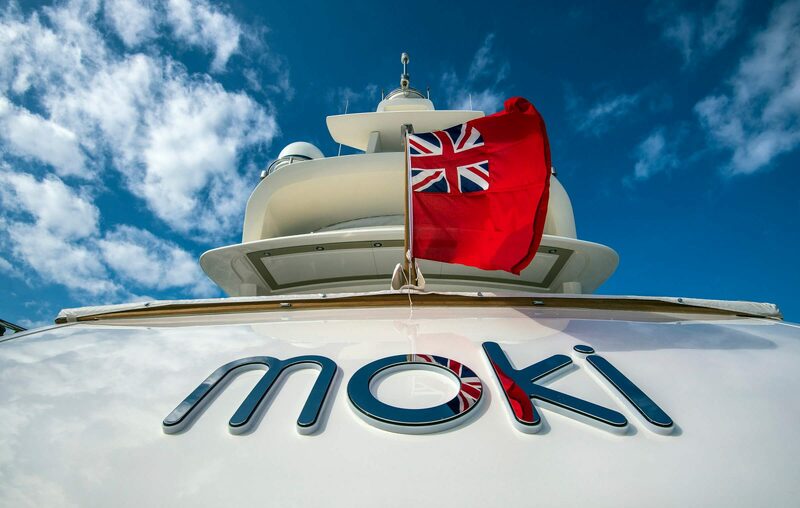 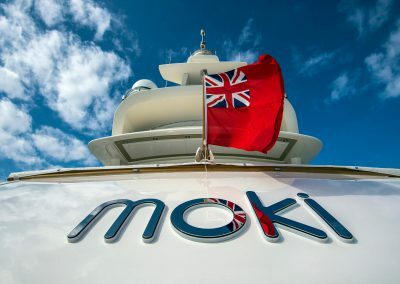 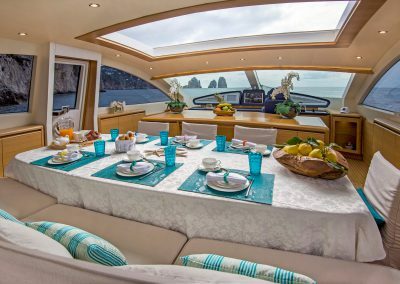 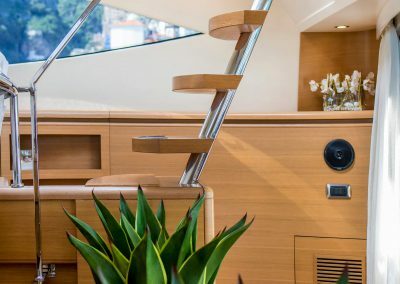 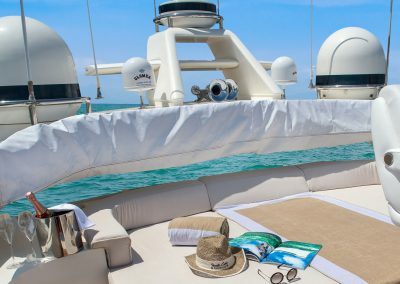 Built by Cerri Cantieri Navali, Moki is a planing 26 metre motor yacht delivered in 2008, combining to the highest standards performance and comfort, making her perfect for charter. 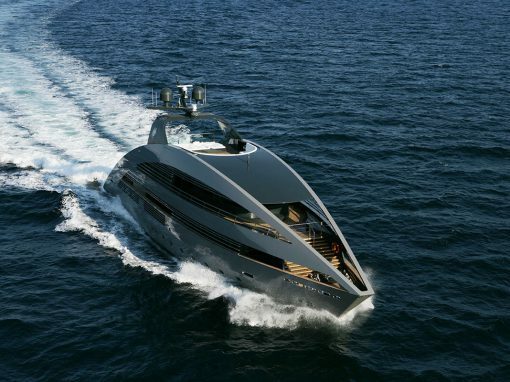 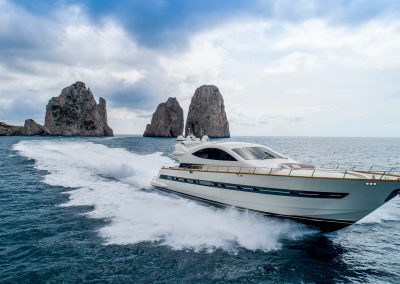 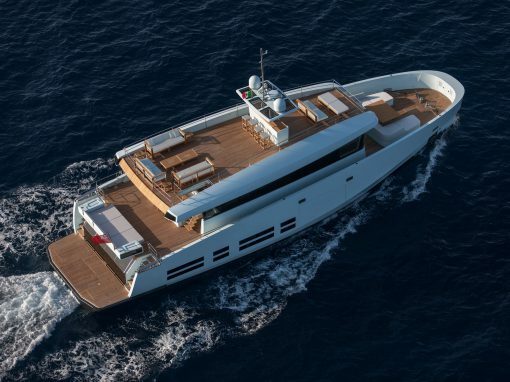 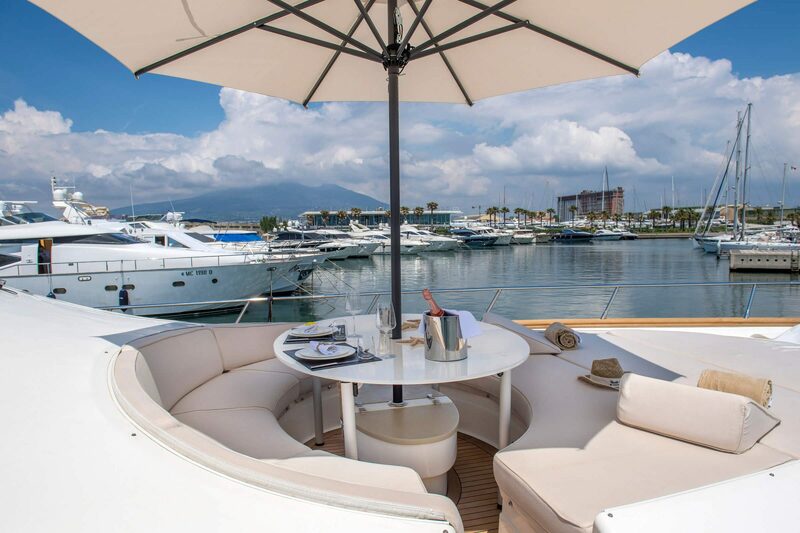 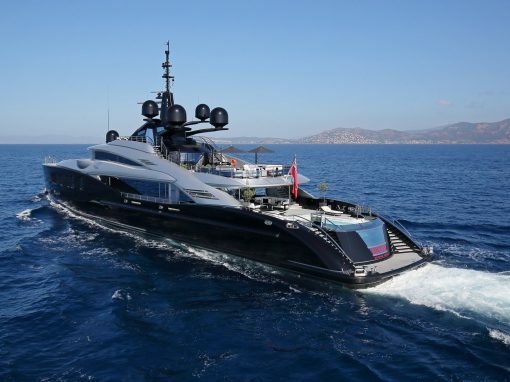 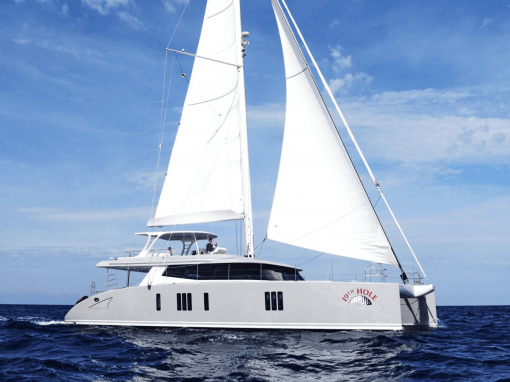 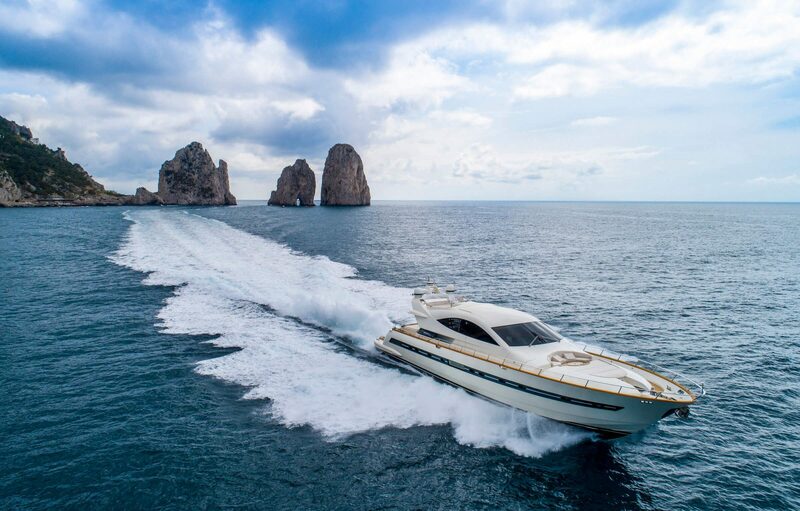 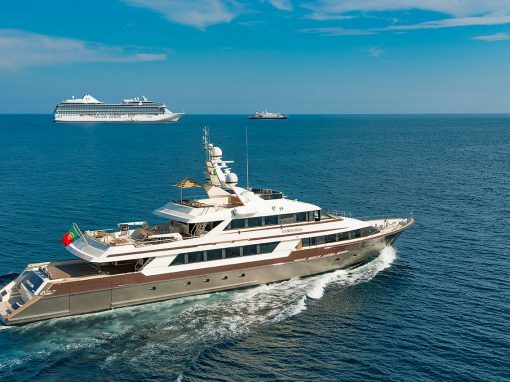 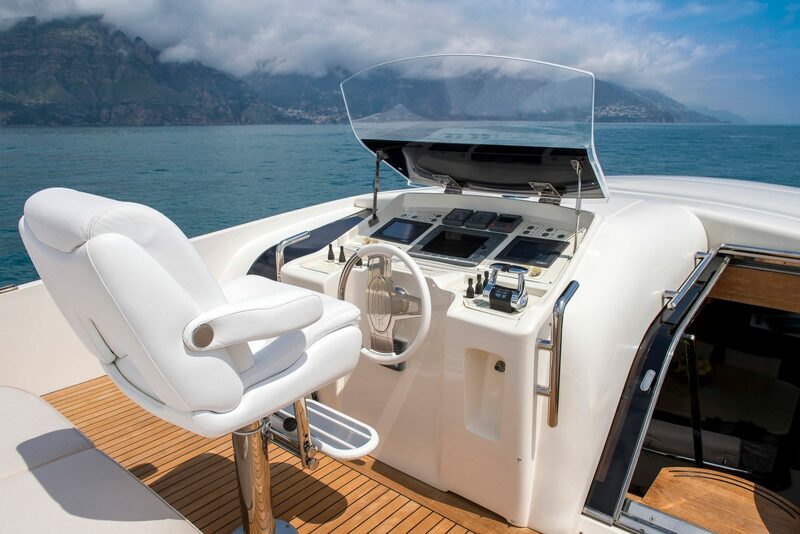 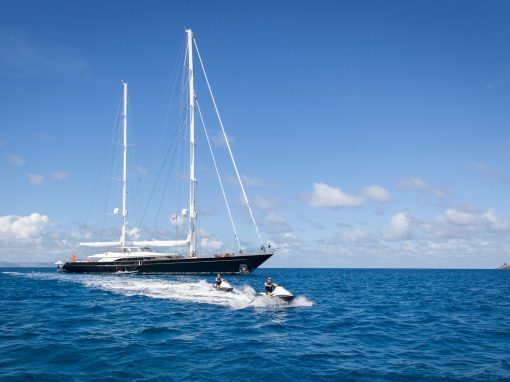 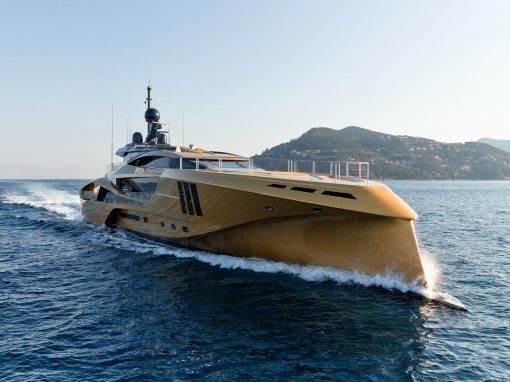 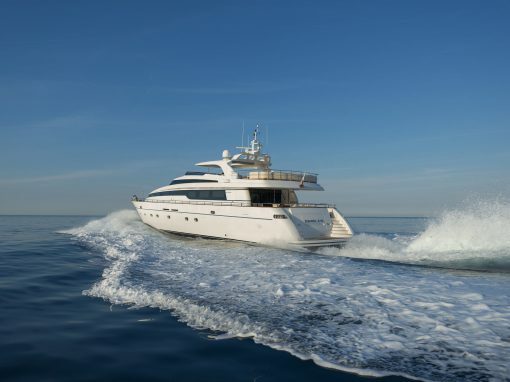 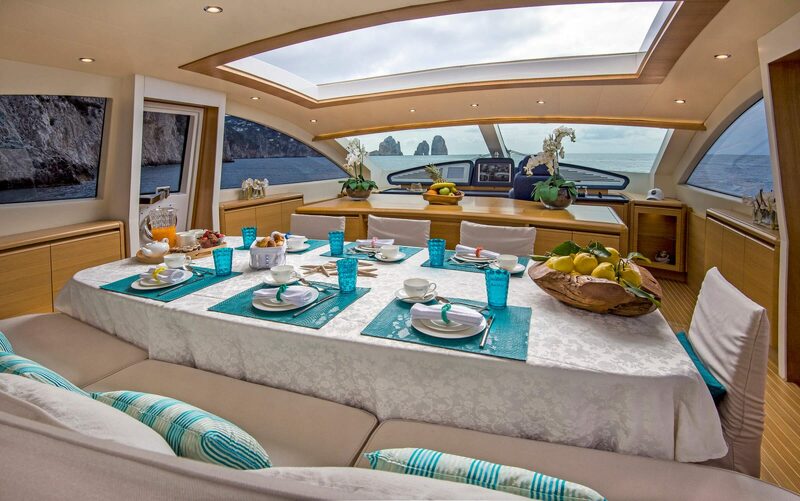 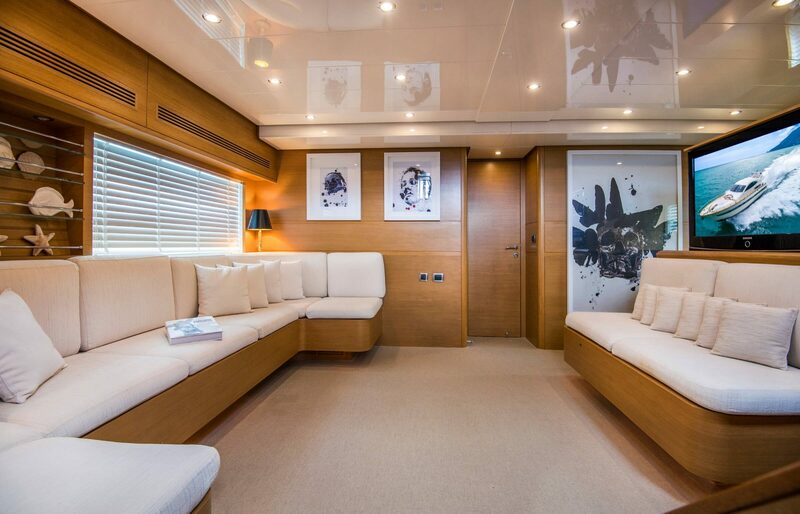 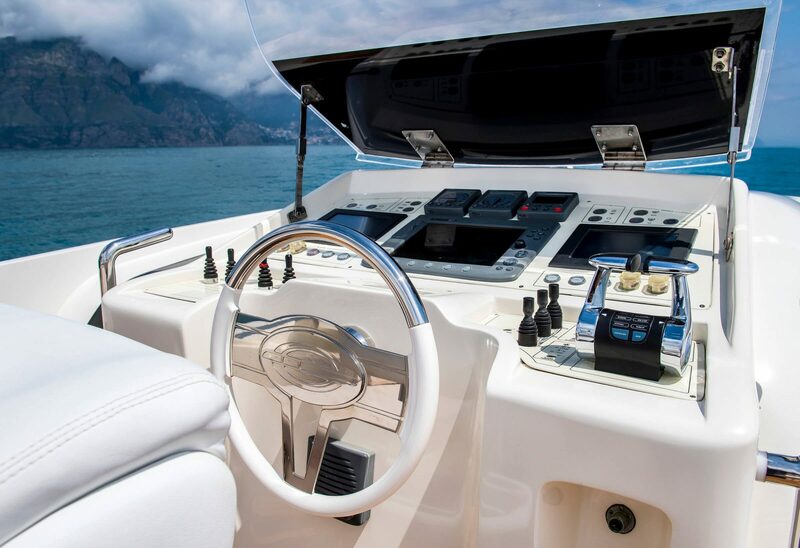 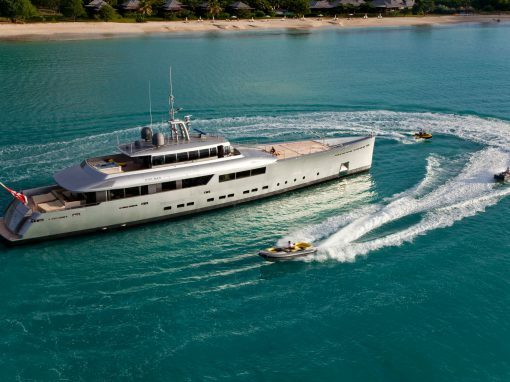 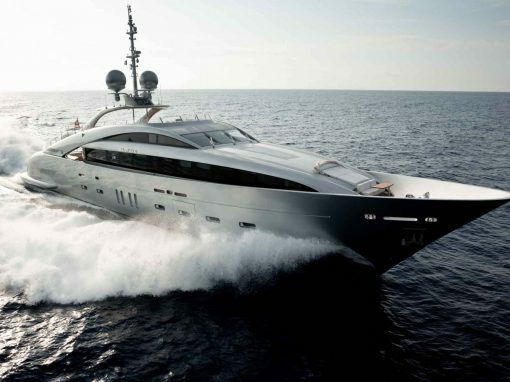 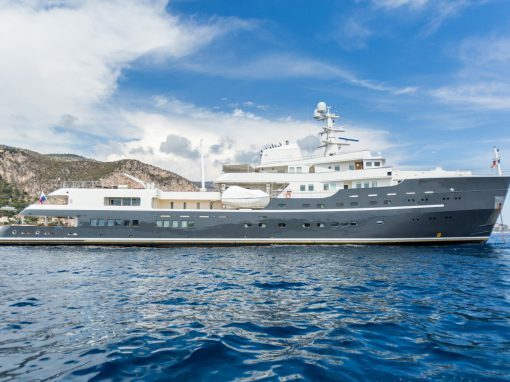 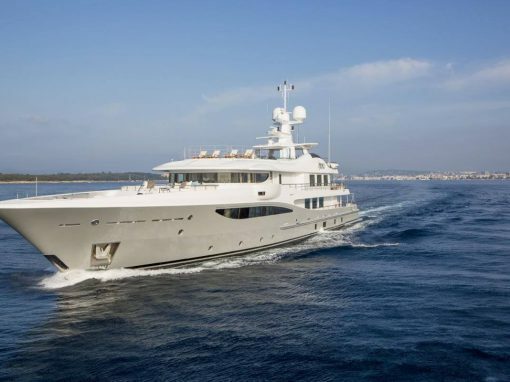 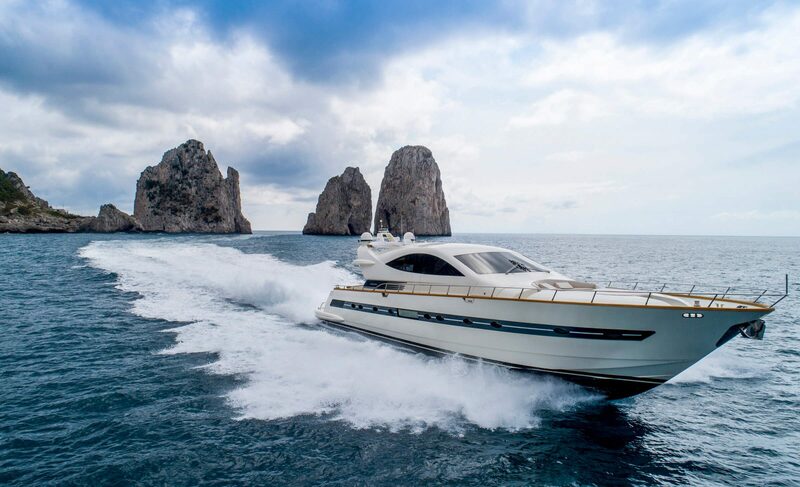 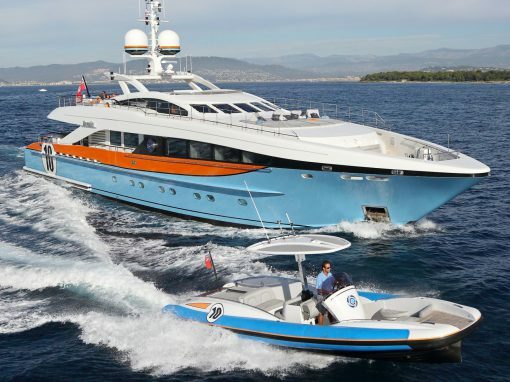 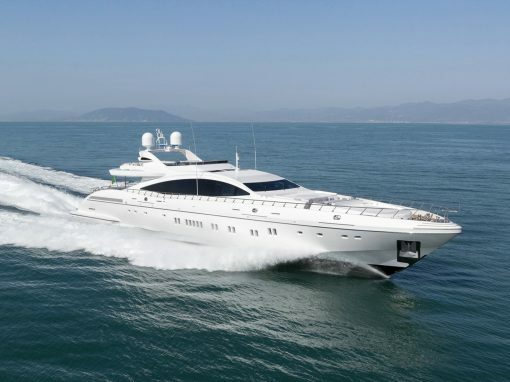 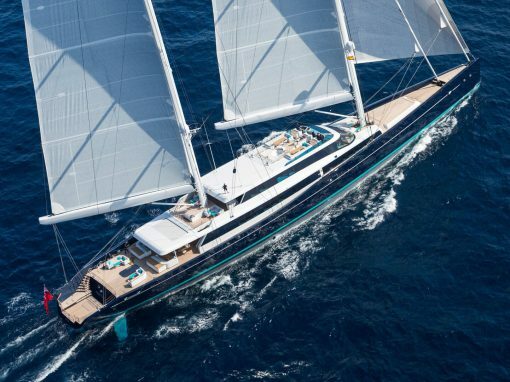 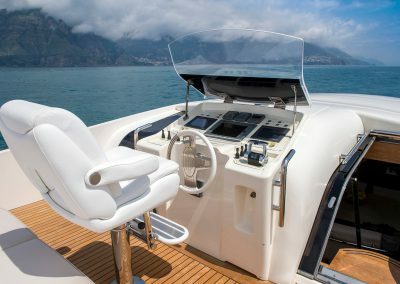 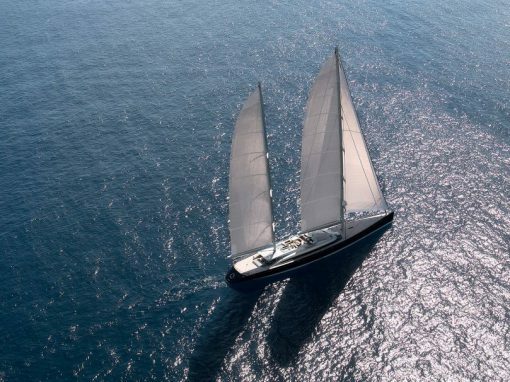 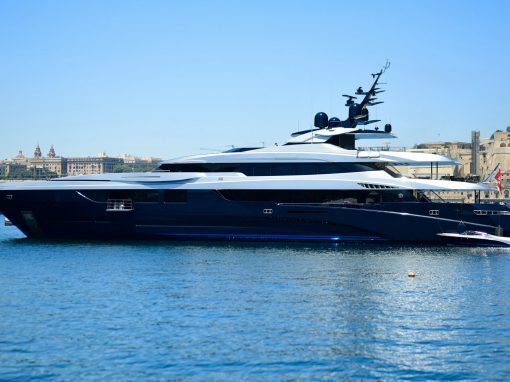 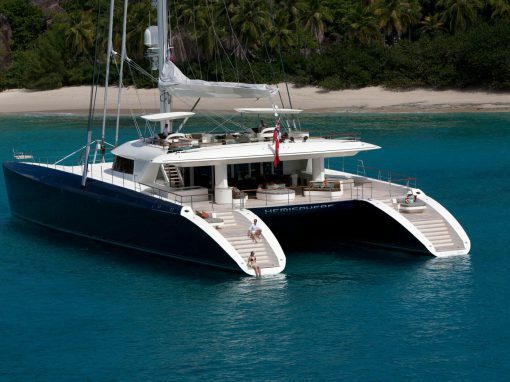 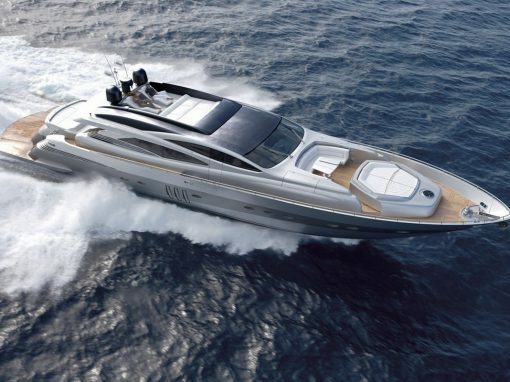 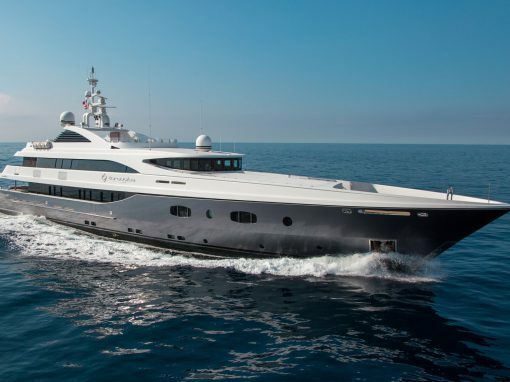 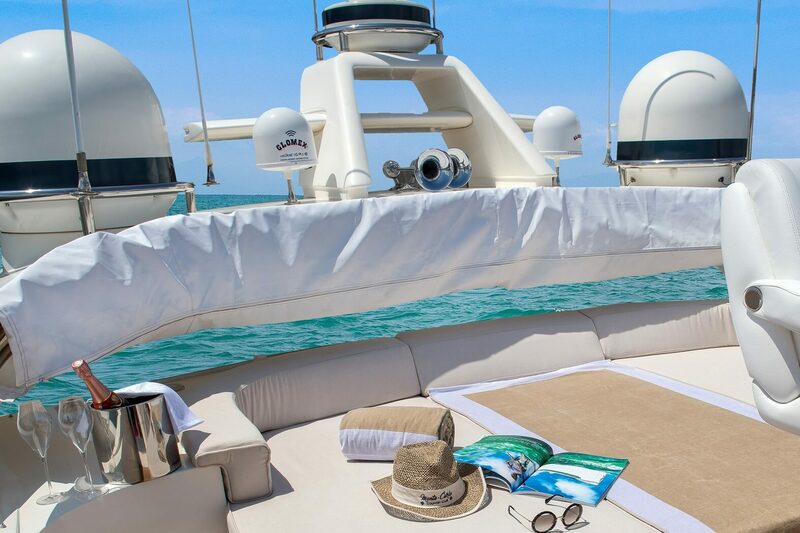 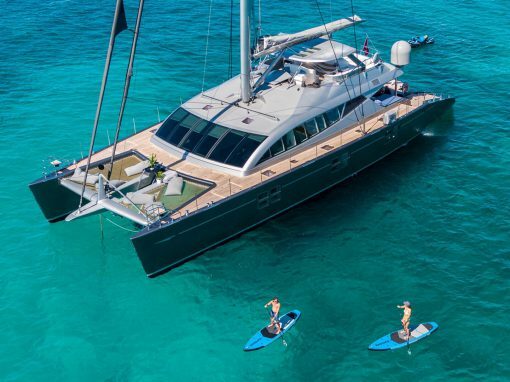 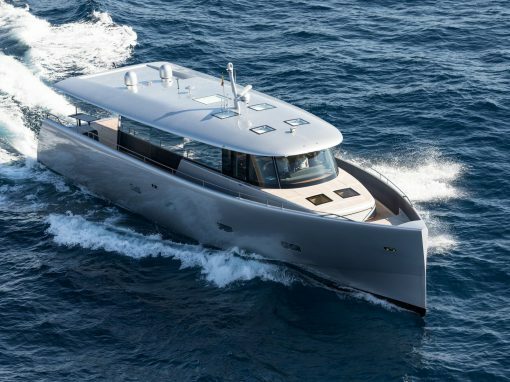 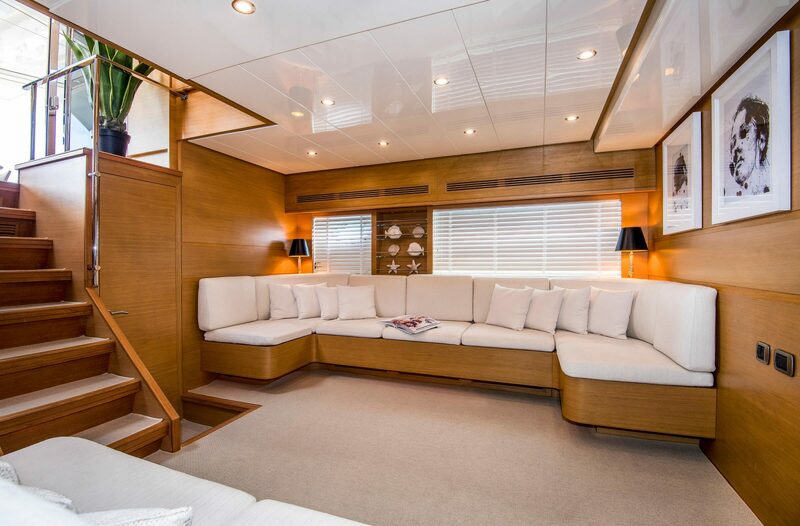 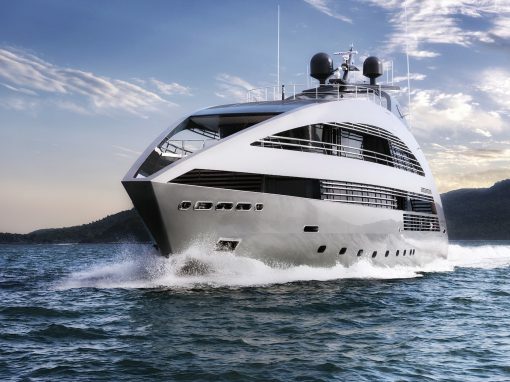 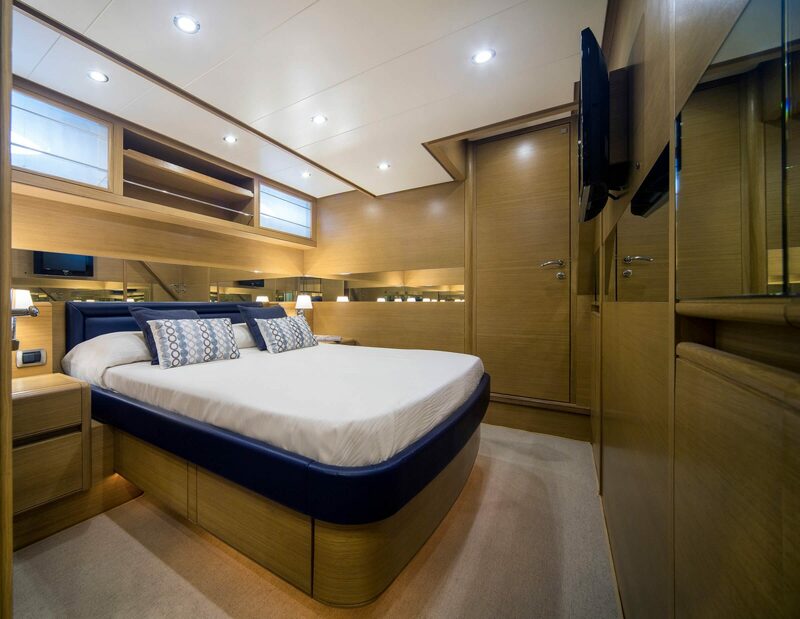 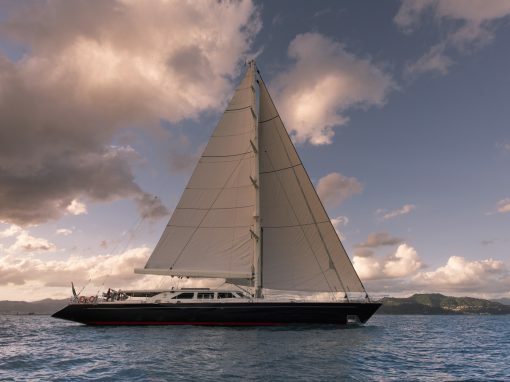 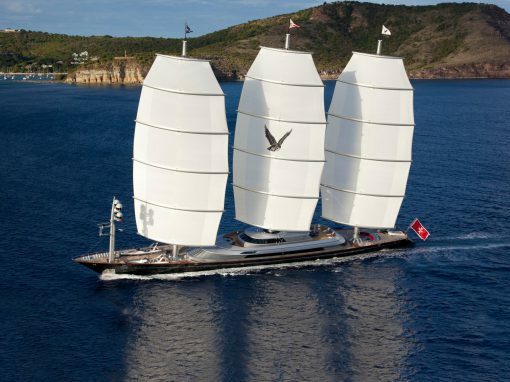 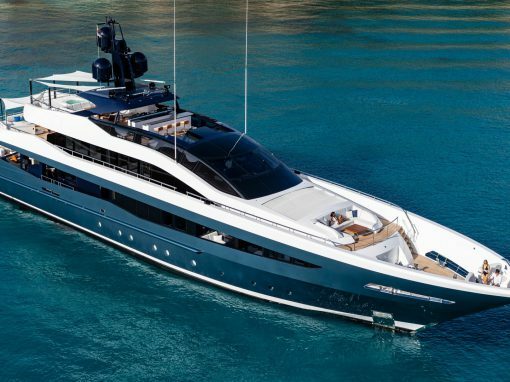 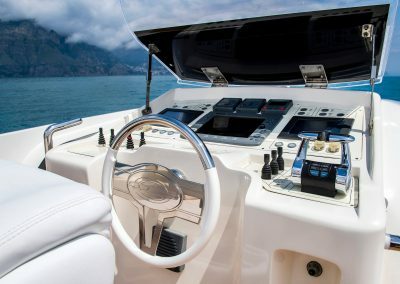 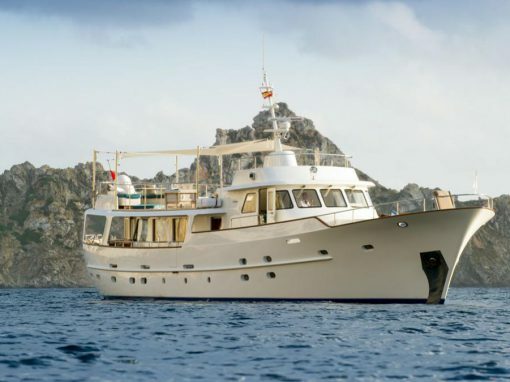 She boasts an incredible max speed of 39 Knots, guaranteeing in the meantime the perfect liveability for eight guests. 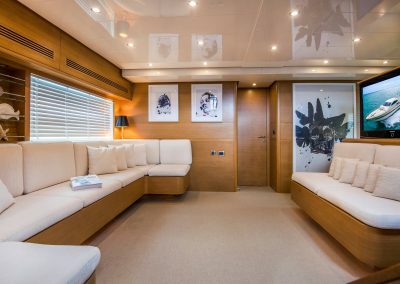 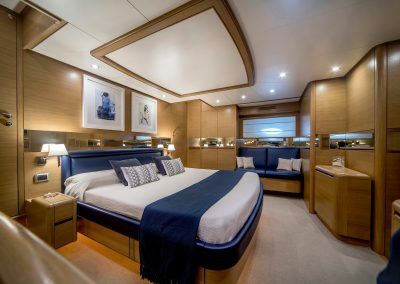 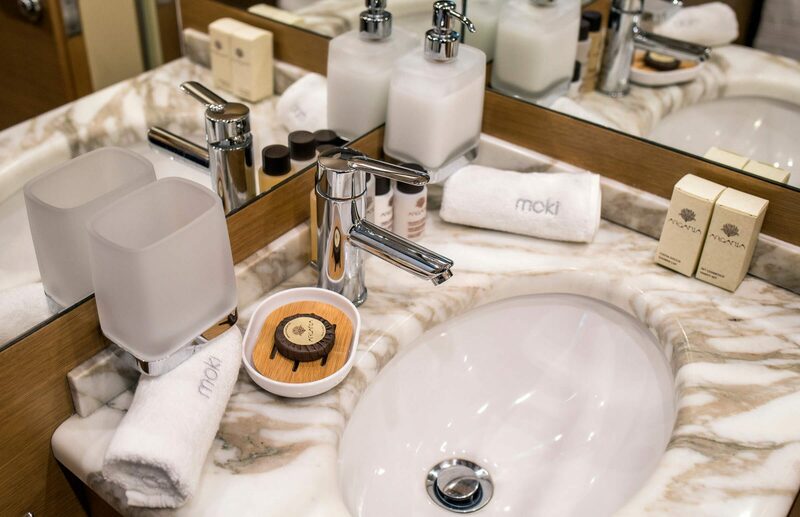 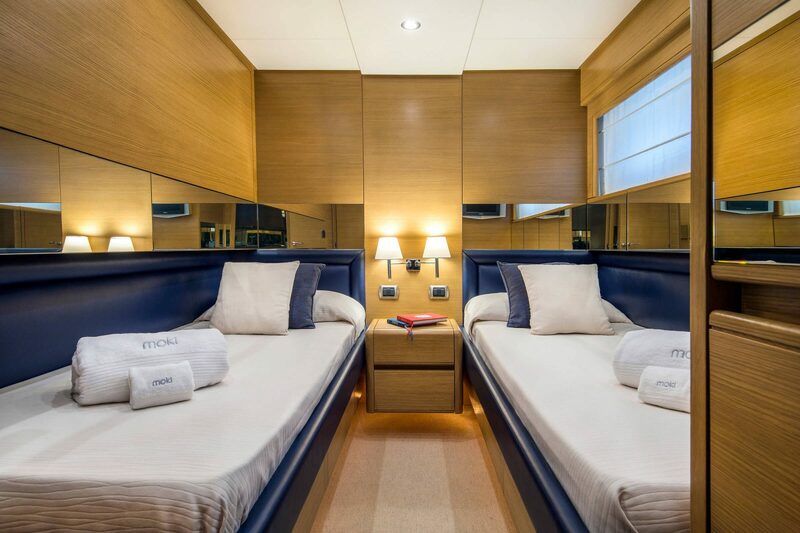 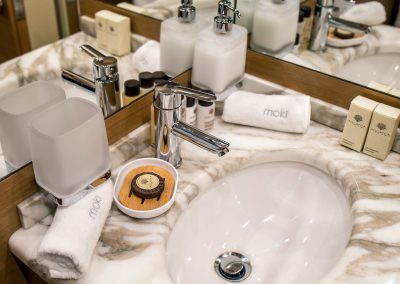 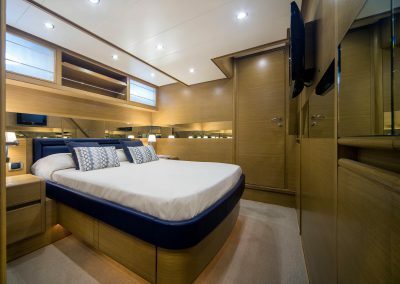 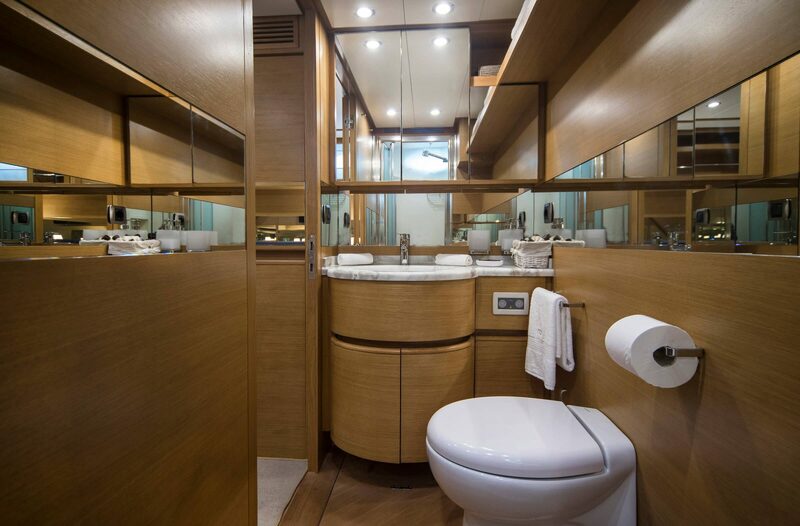 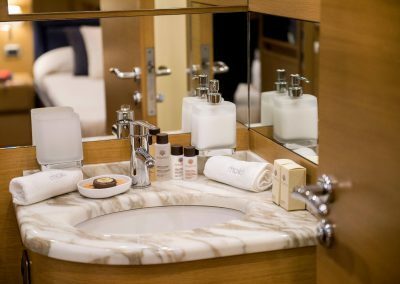 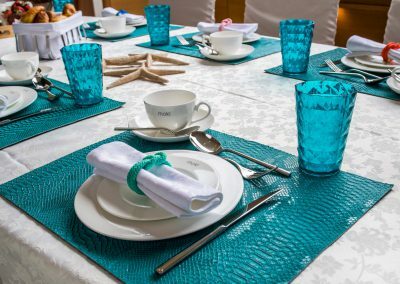 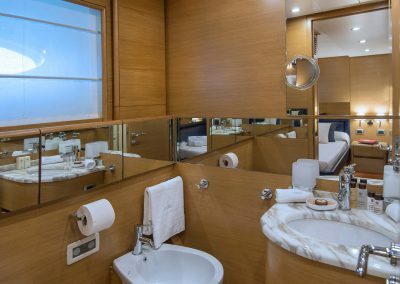 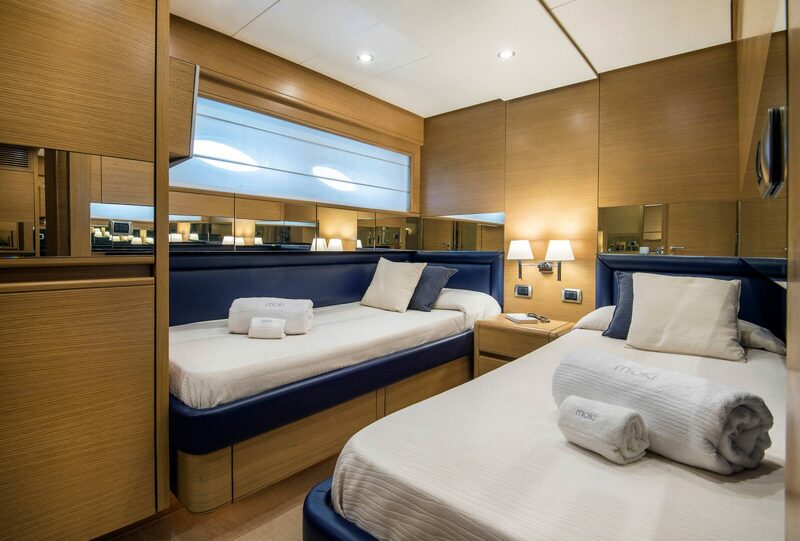 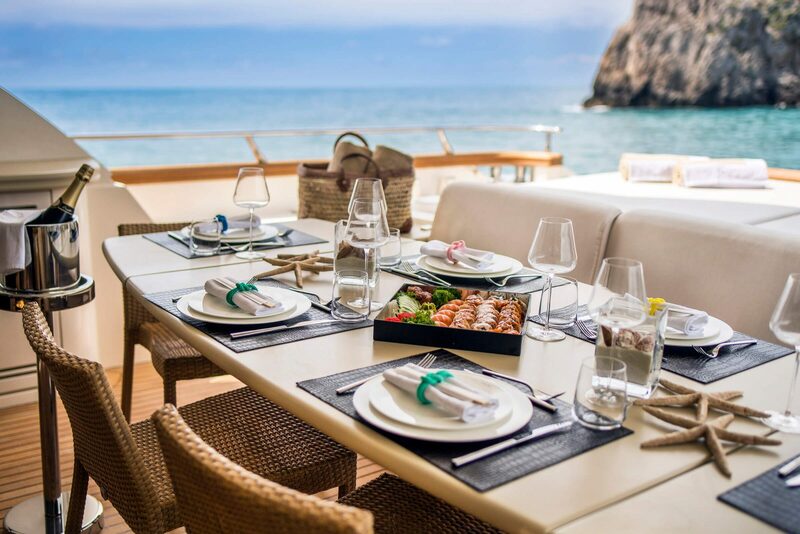 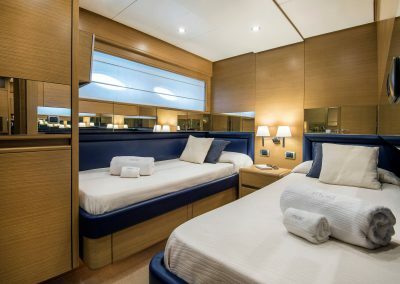 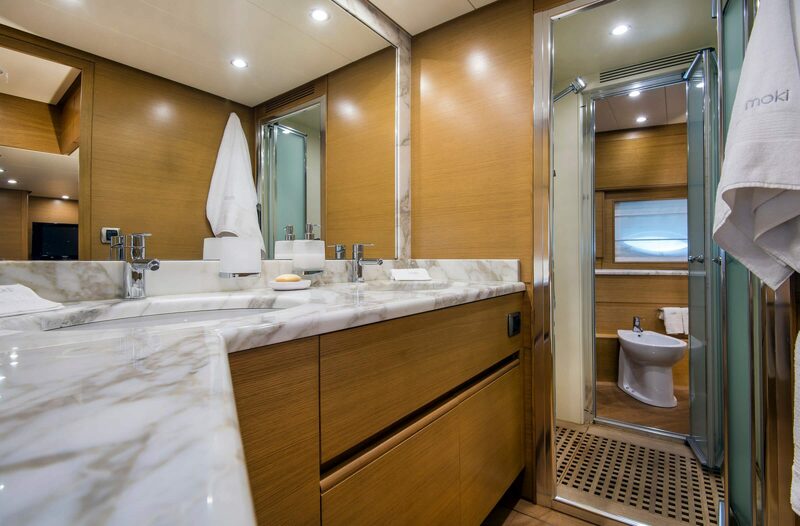 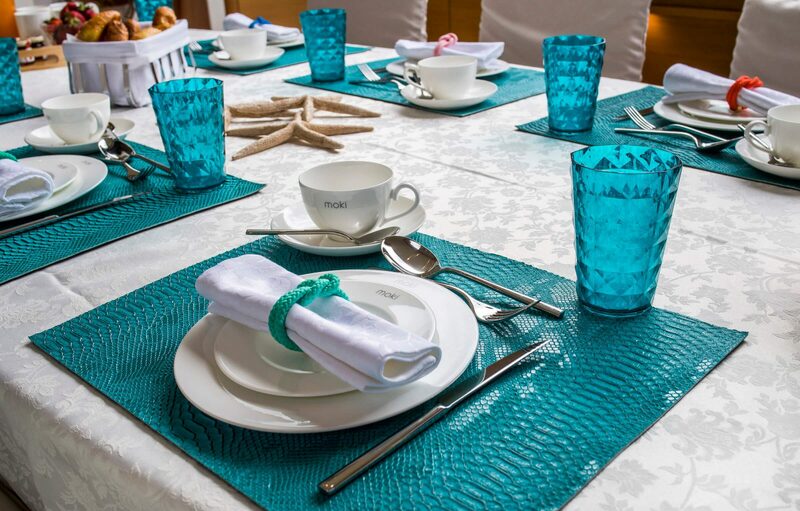 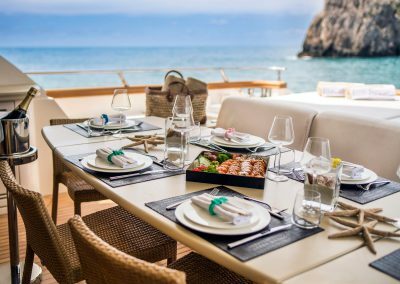 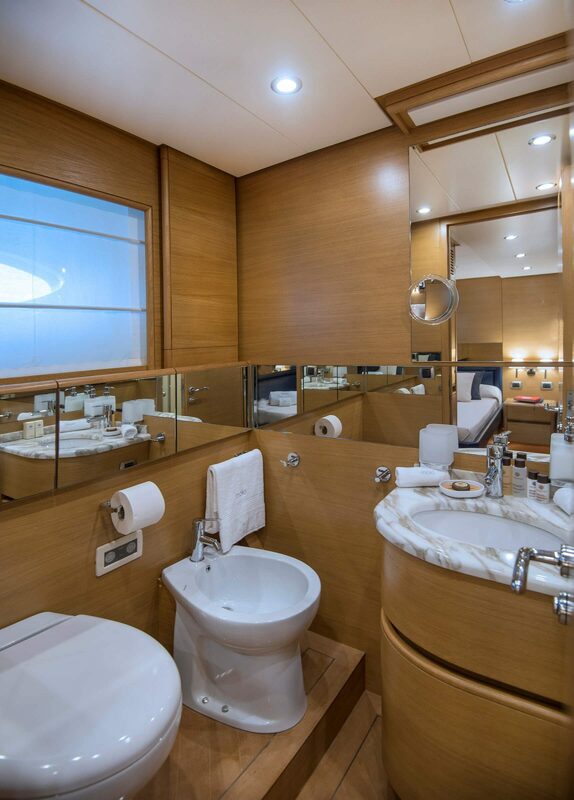 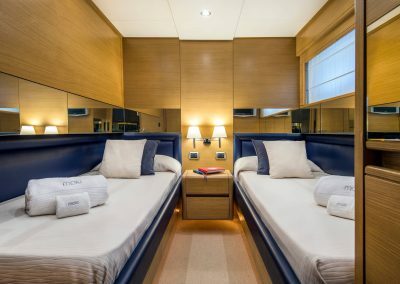 The guests will be welcomed into four cabins, including an extremely spacious master suite, one VIP cabin and two twin cabins with one pullman bed each. 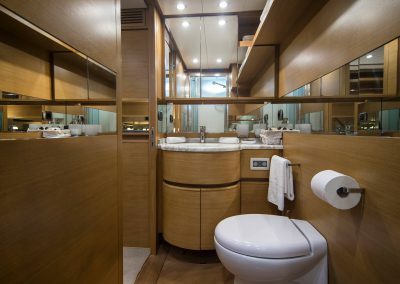 One of the added value is the innovative layout of the traditional living area, now displaced into two different levels.